On a recent hot and sunny Thursday morning, I climbed into BBG’s hybrid SUV armed with a ream of score sheets, a native flora handbook, and a sharp pencil. 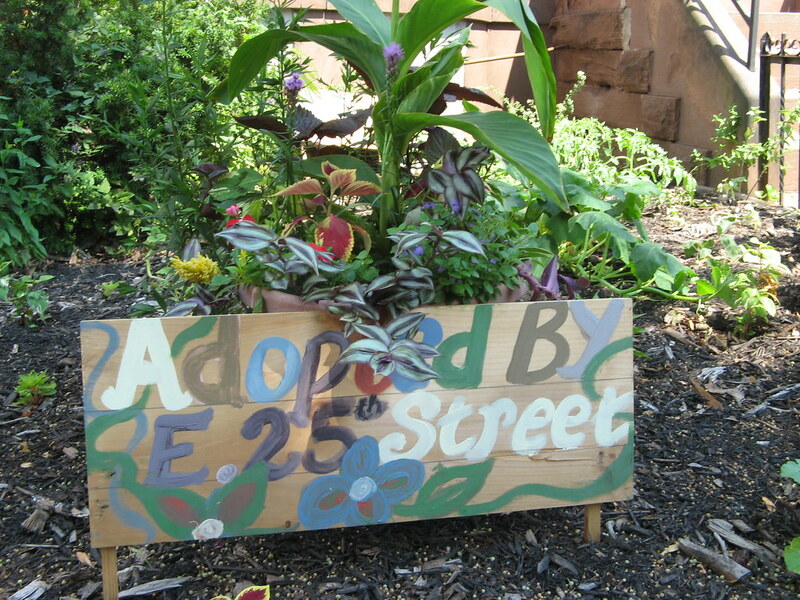 It was my first time as a staff judge in the Garden’s Greenest Block in Brooklyn contest! My three judging teammates—a GreenBridge staff member, a Garden curator, and a BBG board member—gave me tips as we drove to our first destination: “Keep your eyes open for curbside whiskey barrel planters.” “Street tree mulch shouldn’t be piled up high against the tree trunk.” “Remember when giving points for color that green comes in many shades!” From 10 a.m. to 3 p.m., we worked our way up and down both sides of nine residential blocks between the neighborhoods of Canarsie and Flatbush, scrutinizing each property and judging on a variety of criteria, including use of mulch or compost, inclusion of native plants, and evidence of “citizen participation”—for example, on one block, neighbors had pooled their resources to collectively care for the yard of an unoccupied brownstone. Some residents even came outside to chat us up about their beautiful block! After making essential stops for lunch and ice cream, we headed back to the Garden to tally our scores—only two of our nine blocks would go on to the final round. The decisions weren’t easy, but our deliberations were fun. Stay tuned: The winners are slated to be announced the first week of August. April Greene is BBG’s Major Gifts and Special Events associate. April Greene is the Major Gifts and Special Events associate. Could you send me a listing of the blocks considered last year? I would be most appreciative. What is the judging criteria for your Brooklyn Blocks program? You had me at whiskey barrel. Excellent work from the excellent folks at BBG—what a cool idea for a contest. Green does indeed come in many colors! Can’t wait for the results! Greenest Block in Brooklyn semifinalist East 25th Street between Clarendon Road and Avenue D. Photo by April Greene.